When you been to all 50 states and virtually every city and town in America, it’s sometimes hard to avoid the “been there, done that” blues. Even drinking cold beers on the beach while watching rebel-flag-bikini-clad blonds sway to Sweet Home Alabama at the infamous Flora-Bama gets old after a while. 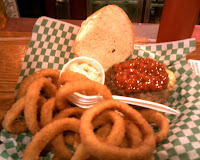 No, unfortunately, a Juicy Lucy has nothing to do with bikini-clad blonds. 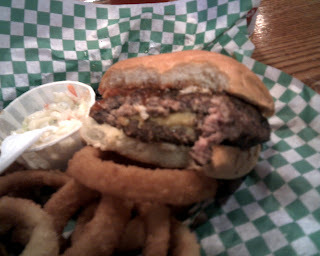 A Juicy Lucy is a popular burger style indigenous to South Minneapolis. 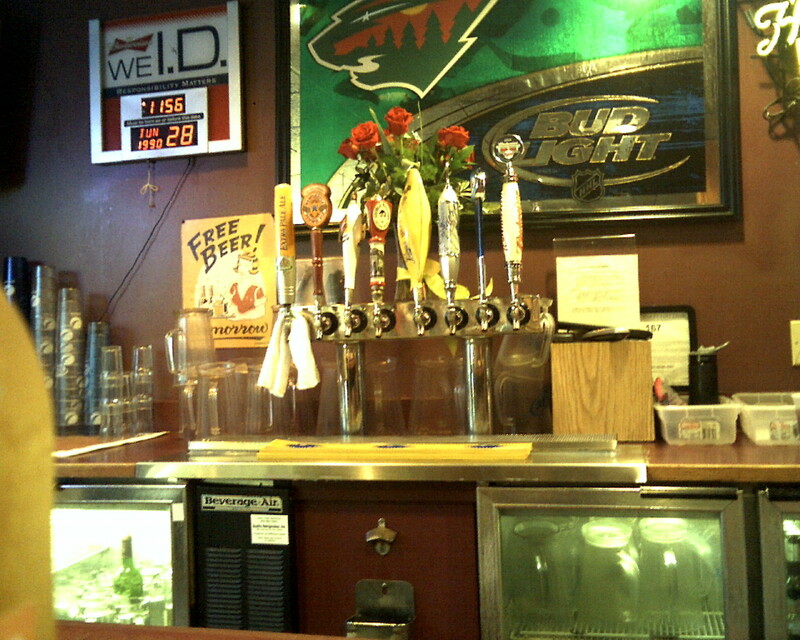 And despite dozens of trips to the Twin Cities, I’d never had one before. Cool! Something new to try! 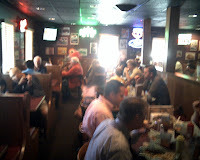 Especially if the place has been around since 1928. Like the 5 -8 Club. And even more especially if that place is located a few hundred yards from the end of an airport runway. Like the 5 – 8 Club. As is typical, my Suit757 schedule allowed me exactly 35 minutes to eat lunch, drive to the airport, drop off my rental car, check in for my flight and have some TSA bureaucrat stick his hands down my pants to deem my testicles worthy of travel within the “land of the free”. THIS is what has become of America. 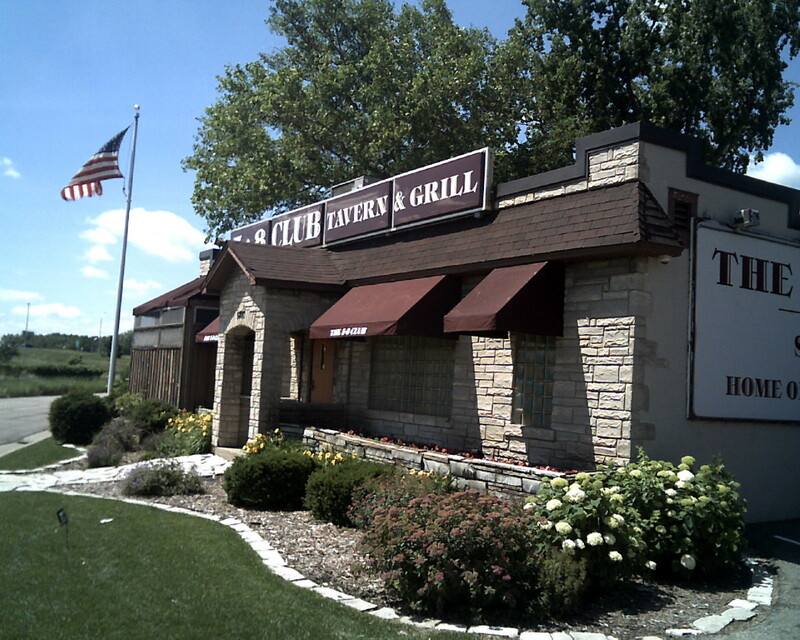 The 5 – 8 Club exudes that “screw the government, I opt out!” spirit I can relate to. After all, the club started as a “speakeasy” during prohibition. 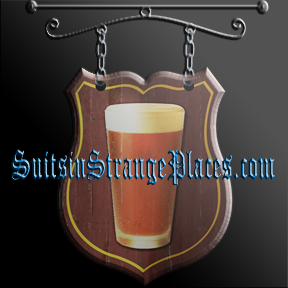 “Speakeasies” referred to that time when thirsty customers had to knock on the front door of illicit watering holes and softly speak the secret code lest some Big Government nanny-state prior-day-TSA bureaucrat over-hear them. 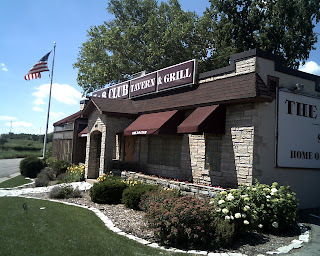 The 5 – 8 Club even had a hidden underground garage where bootleggers could smuggle trunk loads of booze and beer right into the club undetected. 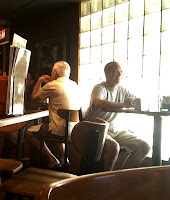 As I sat there at the 5 – 8 Club bar, I couldn’t help but wonder what those good old boys in the 30s would think of the place now. A packed house enjoying Juicy Lucys and openly downing alcohol of all varieties. Sure, alcohol is now fine. But cigarettes are banned. And you can’t bring a tube of tooth paste on the planes taking off across the street. A Juicy Lucy is a sight to behold. Coming out of the kitchen, it looks like a fairly ordinary mound of beef on a bun. But one bite and you will know this is no ordinary burger. An explosion of molten American cheese immediately oozes out the middle of the burger. The menu warns in no uncertain terms – be patient! That molten cheese will singe the roof of your mouth off if you bite into it fresh off the grill. Leachy trial lawyers like John Edwards can’t claim you weren’t warned! Wouldn’t that be ironic? 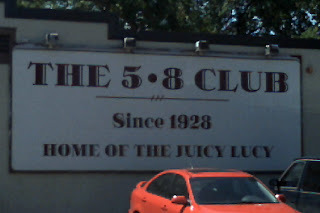 The 5 – 8 Club survives 84 years and prohibition but gets shut down by some slimy trial lawyer. Fortunately, it looks like most customers heed the warnings. I know I did. Despite my rapidly advancing flight schedule, I let that baby cool its heels on my plate for a good five minutes before chowing down. It was worth the wait. 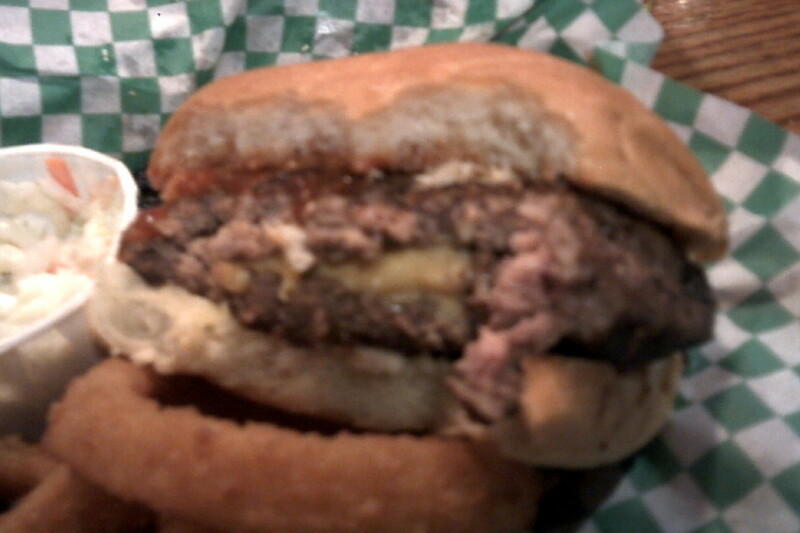 Somehow two burger patties are fused together at the edge and then puffed up in the middle to accommodate all that cheese. The entire contraption magically holds together on the grill until the outside is charred and the cheesy inside has turned to molten lava. The result lives up to its name. Juicy. And cheesy! The onion rings I ordered on the side were good, but nothing extraordinary. The same can be said for the beer selection. 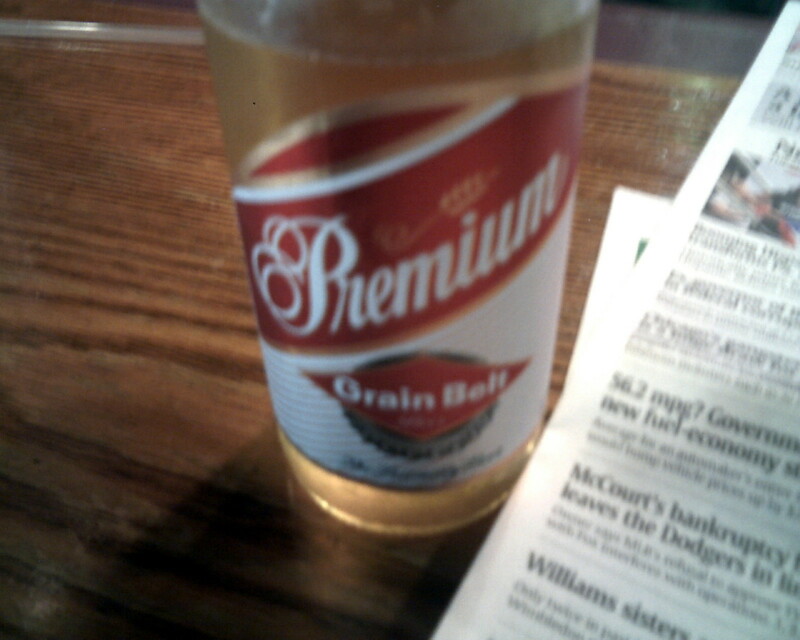 I ordered a Grain Belt Premium. One rule I learned in my many years of beer drinking. If the label says “premium” – it’s not. “Premium” is code word for cheap local beer. It seems like every city’s got one. Iron City in Pittsburgh. Dixie in New Orleans. Genesee in Rochester. Narragansett in Providence. Old Style in Chicago. Olympia in Seattle. Lone Star in San Antonio. 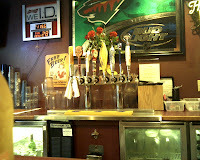 And Grain Belt in Minneapolis. Beer snob natives snicker at the very mention of their names. But I’m a sucker every time. Sure these local favorites are never going to be confused with a fancy microbrew. But you know what? It’s something different I can’t get at home. And thanks to all that progress we’ve made in the “land of the free”, I don’t have to whisper some secret code to get one. I can shout to the bar tender as loud as I want, “Slide one on down!” Just be sure to leave that dangerous toothpaste at home.